The National Trust Guide to Savannah takes you on an illustratedwalking tour through the breathtakingly gorgeous squares andneighborhoods of one of North America's most beautiful cities.Pausing along the way to linger over this or that point ofarchitectural interest, Roulhac Toledano pieces together thehistory of the city, from when it was little more than a plan onfounder James Edward Oglethorpe's drawing board through thegroundbreaking preservation work of the 1950s. With the help ofmore than 200 historic and contemporary photographs, Toledanoprovides vivid impressions of the city, and takes you to theoutlying areas of the Sea Islands and salt marshes, the plantationsof Chatham County, and nearby river villages. 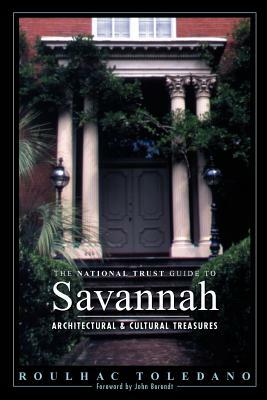 For those planning avisit, The National Trust Guide to Savannah supplies an extensiveguide to Savannah's museums, lodgings, restaurants, bookstores, antique shops, and other points of interest. ROULHAC TOLEDANO, author of The National Trust Guide to New Orleans(John Wiley & Sons/Preservation Press, 1996), is the recipientof the American Institute of Architects' 1996 International BookAward and the Society of Architectural Historians' Alice HitchcockAward. The National Trust for Historic Preservation is the onlynonprofit organization chartered by Congress to encourage publicparticipation in the preservation of sites, buildings, and objectssignificant in American history.